Would you rather not call attention to the fact that you're improving your smile? Invisalign offers a much more discreet option than metal braces. Arlington, TX, dentist Dr. Joseph Reed of Arlington Dental explains several benefits of Invisalign. 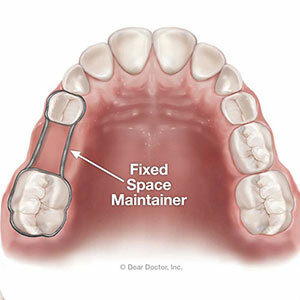 All brace systems rely on pressure to realign the teeth. Traditional braces use wires threaded through brackets, while aligner trays perform the same function in the Invisalign system. Your removable aligner trays are molded to fit your upper and lower teeth and provide constant, gentle pressure needed to straighten them or correct bite or other orthodontic issues. 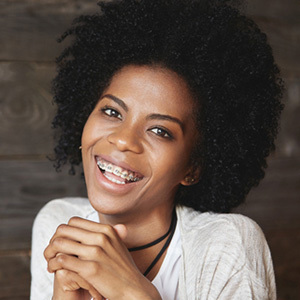 Invisalign is an excellent choice if you have crooked teeth or gaps in your smile or an underbite, overbite, crossbite or open bite. Most people who need braces can take advantage of Invisalign. 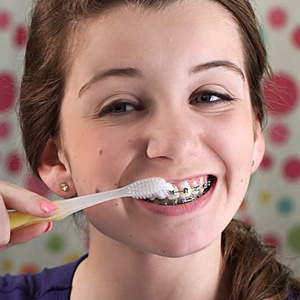 If you have severe or complicated orthodontic issues, traditional braces may be needed. 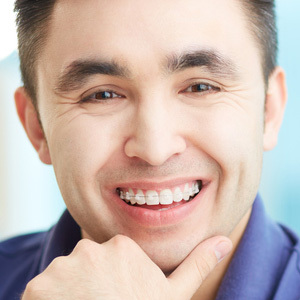 Invisalign aligner trays won't change your appearance, unlike metal or ceramic braces. The trays are made of clear plastic designed to make them practically invisible. There are no adjustments needed with Invisalign. Each set of aligner trays is designed to perform a different straightening function. At the end of two weeks. you'll simply swap one set of trays for another. You may experience a little irritation when you first begin wearing your trays. Luckily, the irritation quickly fades as your mouth adjusts to the presence of the trays. If it continues, we can make a few adjustments in our Arlington office. You may also notice a little pressure when you wear the trays, although most people don't find the sensation painful. Want to eat popcorn, enjoy an ear of corn or chomp on a raw carrot? You can do all of these things when you wear Invisalign aligner trays. Although all of those foods are off-limits to traditional brace wearers, you won't face the same food restrictions. Every time you eat, you'll remove your aligners, which will allow you to eat anything you want. Although you can drink water while wearing your aligners, it's best to remove them when consuming other drinks, particularly those that may stain the clear plastic. Straighten your smile discreetly with Invisalign. Call Arlington, TX, dentist Dr. Joseph Reed of Arlington Dental at (817) 303-5700 to schedule your appointment.